A new photography product has launched on Kickstarter. That project is known as the MagMod. 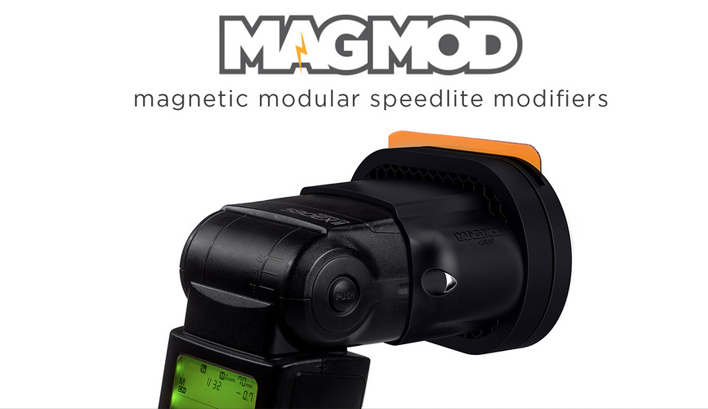 According to the Kickstarter page and inventor, Spencer Boerup, "MagMod is the simplest, easiest, strongest, fastest, and sexiest speedlite modifiers for Canon and Nikon hot-shoe flashes, period." The MagMod is a simple magnetic band that mounts to your flash allowing modifiers to be slapped on and off via N52 Neodymium magnets. To help back the MagMod or if you're interested in purchasing a MagMod, you can do so by pledging for one on their Kickstarter page. It starts off at $55 and the price increases when you add more accessories like a MagGrid and MagGel. Below is a video of what the MagMod is all about.